When Derrick Rose won the MVP in 2011, he was one of the best choices for the fantasy league. The following years he was plagued by injuries, and he fall out of the fan favorite choices in their fantasy leagues. This year, everyone expected a strong return from Rose on the court, but in their fantasy leagues as well. Sadly, the flashy point guard has missed more games than he has played. Most fantasy leagues consist of 8 categories. Those are points, rebounds, assists, blocks, steals, made three points, field goal percentage and free throw percentage. Sometimes, categories such as double double and triple double are added. Points account for 1 point, meaning that if a player scores 20 points in a game, you win 20 points in your fantasy league. Rebounds and assists usually account for 1.5 points, while steals and blocks account for 2 points. A made 3 points is worth 0.5 points. While those are standard values, some leagues tend to increase or decrease the value of certain categories. For example, sometimes, rebounds and assists also account for 2 points, and there are leagues where turnovers are awarded a negative point. What does Derrick Rose gives you? 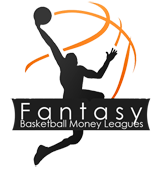 Most leagues have 8 players on their roster which includes the 5 standard positions, plus one guard, one forward and one utility player. Rose can be accustomed in either the point guard position, or in the guard position. At the moment, in the five games he played, D.Rose posted averages of 18ppg, 5.4apg, 2.8rpg, 1stl and one 3 pointer. If you calculate, you are getting approximately 34-35 points from Derrick. Now, the problem is in the games he hasn’t played, you are getting zero points. As the season goes on, Rose is poised to post better numbers, and increase his fantasy value up to 50 points at least. However, he is also expected to miss more games due to various injuries and precautions. Is he worth a slot? If you like to switch Derrick Rose from your fantasy team, you will need to get another point guard on his place. Assuming you cannot get your hands on a Chris Paul, Stephen Curry, Irving, Westbrook, Parker or John Wall, there are other valuable players you can look for. For example, the first mid class option would be Rondo. While he doesn’t average many points, he averages 11+ assists and 8+ rebounds per games. And he always gets a steal or two. The next mid option would be Kyle Lowry and his 18 points, 6 assist, 4 rebounds, one steal and one 3pointer made per game. Another option would be Ty Lawson, due to his high assist number, 9 per game. He also gives you close to 17 points, 2 rebounds and a steal per game. Mike Conley is having a terrific season, but he is the third or fourth option in Memphis. And if you like to go very cheap, go for Brandon Knight. The 4th year point guard is thriving in Milwaukee, posting averages of 18 points, close to 7 assists, almost 6 rebounds, one steal and almost two 3-pointers.